Known colloquially as Mark Does Stuff, Mark has been running a series of review websites that chronicle his journey through various fictional universes... while completely unspoiled. Since the summer of 2009, Mark has reviewed nearly 100 books unspoiled. He rose to fame covering Twilight and Harry Potter, and since then, he's reviewed The Hunger Games trilogy, His Dark Materials, Tamora Pierce's Tortall and Circle of Magic books, the Newsflesh trilogy, the Inheritance trilogy by N.K. Jemisin, Lord of the Rings, and many, many more. He is currently working his way through the Discworld series in release order and reading Diane Duane's Young Wizards books. 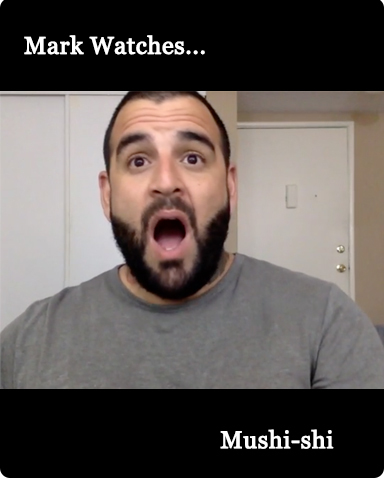 Mark Watches was founded in the fall of 2010 as a companion to Mark Reads. Since the site's inception, Mark has completed watching and reviewing over 50 television shows, including Buffy the Vampire Slayer and Angel, Avatar The Last Airbender and The Legend of Korra, The West Wing, Steven Universe, Doctor Who, Battlestar Galactica, Neon Genesis Evangelion, Star Trek, and many more. He is currently watching Alias. The Mark Does Stuff online store is where all Mark Watches videos are archived and available for purchase. You can also find eBook collections of Mark's reviews of the Twilight and Harry Potter series available in a number of formats.